Please join us Friday, November 28th at the Topological Media Lab for a special screening of a new film by Evalyn parry (Toronto) and Elysha Poirier (Montreal). 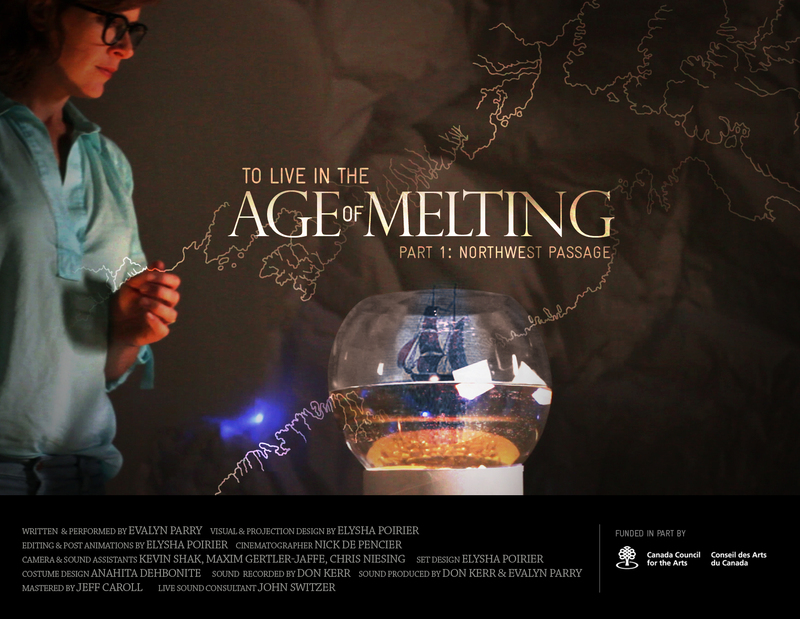 To Live in the Age of Melting: Northwest Passage traverses the territory between live performance and film in a unique collaboration between theatre innovator and musician evalyn parry and visual/projections artist Elysha Poirier. Taking iconic Canadian folk song ‘Northwest Passage’ as a point of departure, the film embarks on an evocative visual and sonic journey that travels from Franklin’s doomed 19th century expedition to contemporary Arctic sovereignty. Climate change, the human nervous system, colonial legacy, and ‘tradition’ are woven into a provocative tale of what happens when the North – and parts of ourselves – begin to melt. There will be a short presentation after the film, followed by an open discussion. This includes the recent discovery of one of the lost ships from Sir John Franklin’s doomed Arctic expedition.